There's nothing better than enjoying the fruits and vegetables grown in your own Hydroponic Garden. Welcome to Home Hydro Systems, the place where you'll be able to find information about anything related to hydroponics, as well as hydroponic systems and how to build your own hydroponic systems. We don't sell any products or information, that way we can remain objective. We don't just post the manufactures propaganda designed to sell products like other websites. We only use information from trusted and creditable sources, as well as feedback from actual growers. Not just home growers, but also what we learn form commercial hydroponic farms also. Through the years we have spent a lot of time searching for good creditable information to grow our own plants, and Home Hydro Systems was created to share what we have learned and found out with everyone else too. Simply because we want to help everyone grow their plants successfully also. 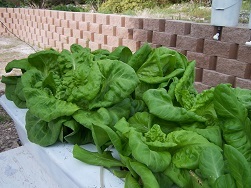 At the same time we can help promote the benefits of using hydroponics for food production. We only have one goal in mind, and that's simply to help show people that you can grow your own produce hydroponically, and without it costing a fortune. Growing plants successfully isn't all, it's got to be affordable too, or what's the point. We aren't' interested in growing a $12 tomato, we strive to show you that you can grow better produce at home hydroponically, and for less money than you can buy it for at the store, or even grow it in the ground. After all, it wouldn't be worthwhile if it wasn't economical to grow them hydroponically now would it? You don't need an expensive hydroponic system, expensive nutrients, or even expensive grow lights to grow your crops hydroponically. 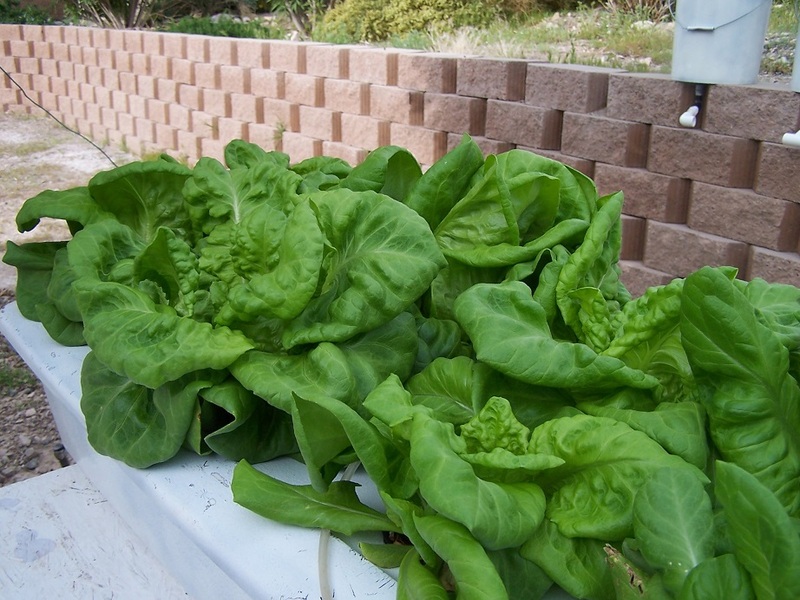 You can build your own very good hydroponic systems inexpensively. Also there are plenty of very good commercially made cost effective nutrients you can use. You don't even need any grow lights if you can make use of free natural sunlight. It's easy to build your own hydroponic systems. Regardless of what you want to grow, hydroponic systems really only have, and/or need a few basic parts to work very well. The growing chamber is the part of the hydroponic system where the plants roots will be growing. Simply put, the growing chamber is the container for the root zone. This area provides plant support, as well as is where the roots access the nutrient solution. 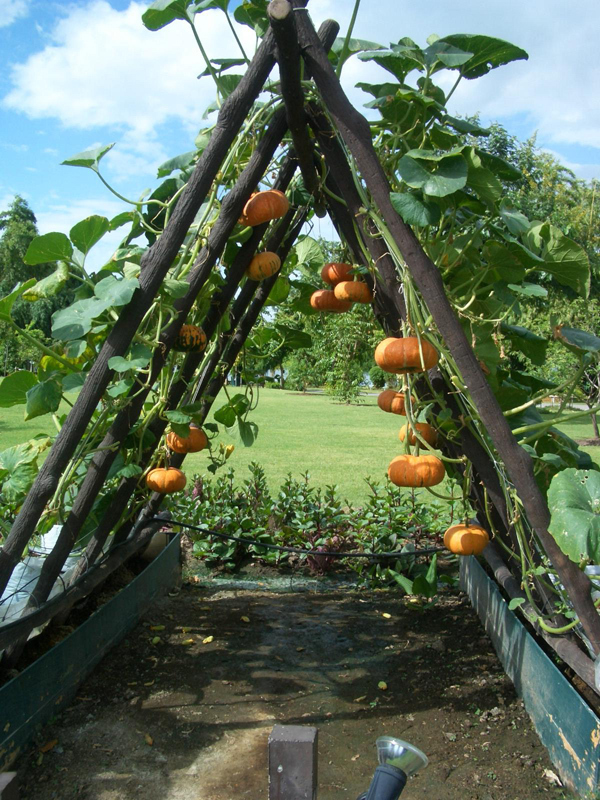 It also protects the roots from light, heat, and pests. It's important to keep the root zone cool and light proof. Prolonged light will damage the roots, and high temps in the root zone will cause heat stress for your plants, as well as cause fruit and flower drop as a result of heat stress. The nutrient solution temperature itself is very important part of keeping the roots and entire root zone comfortable for the plants. The size and shape of the growing chamber really just depends on the type of hydroponic system your building, as well as the type of plants you'll be growing in it. Bigger plants have bigger root systems, and need more space to hold them in. The designs here are endless. Almost anything can be used as the growing chamber, you just don't want to use anything made of metal or it could corrode or react with the nutrients. If you look around you'll get lots of ideas of what and how you can easily use many different things for building the growing chamber of your hydroponic system. The reservoir is the part of the hydroponic system that holds the nutrient solution. The nutrient solution consists of plant nutrients that are mixed in water. Depending on the type of hydroponic system, the nutrient solution can be pumped from the reservoir up to the growing chamber (root zone) in cycles using a timer, as well as continually without a timer, or the roots can even hang down into the reservoir 24/7, making the reservoir the growing chamber also. You can make a reservoir out of just about anything plastic that holds water. As long as it doesn't leak, holds enough water, and is cleaned out well first it can be used as reservoir. Read this article for more about how big your nutrient reservoir should be. A reservoir also needs to be light proof. If you can hold it over your head and see light coming through it, it's not light proof. But it's easy to make any container light proof by painting it, covering it, or wrapping something like bubble wrap insulation around it. Algae and microorganisms can begin growing with even low light levels. Most hydroponic systems use a submersible pump to pump the water (nutrient solution) from the reservoir up to the growing chamber/root zone for the plants. Submersible pumps can easily be found at hydropnic supply shop, or most home improvement stores with garden supplies as fountain and/or pond pumps. They will also come in a wide variety of sizes. Read this page for how to decide what size pump you need for your hydroponic system? The submersible pumps are basically nothing more than an impeller that uses a electromagnet to spin it. They can also easily be taken all apart to be cleaned thoroughly. If it doesn't come with a filter, you can easily make one by cutting a piece of furnace filter screen or similar material to fit. You should clean both the pump and filter regularly to keep them clean. A hydroponic systems water/nutrient solution delivery system is really quite simple, as well as extremely customizable when building your own hydro systems. Besides the pump, it's really nothing more than just the pluming the water/nutrient solution goes through to get to the plants roots in the growing chamber, and back to the reservoir again. 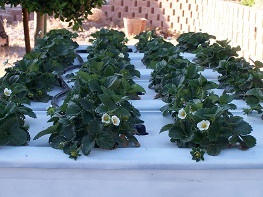 Typically the simplest and best materials to use for the nutrient delivery system are a combination of standard PVC tubing and connectors, standard garden irrigation tubing and connectors, as well as blue or black vinyl tubing. Depending on the type of hydroponic system you build, you may want to use drip emitters or sprayers as part of your nutrient solution delivery system. While they can be useful, they also can clog. So if you do, make sure you have extras you can quickly swap out while you clean the clogged ones. We try to avoid using emitters because they do clog, as well as cost extra money. Depending on the type of hydroponic system you build, and where you place the system to grow your plants. You may need one or two simple timers. If you use artificial lighting to grow the plants instead of natural sunlight, you'll want a timer to control the on/off times for the lighting system. For flood and drain, drip, and aeroponic systems you'll need a timer to control the on/off times for the submersible water pump. Some types of aeroponic systems may need a special timer. Visit the aeroponic systems page to find out more about the types of aeroponic systems, and timers for them. Standard everyday light timers work fine for both the lights as well as the submersible pumps. However we do recommend making sure the timer is rated for 15 amps rather than 10 amps. Fifteen amp timers are often called heavy duty, if not just check the back of the package or timer for the 15 amp rating. Also try and get one for outdoor use, they usually have a cover and are usually water resistant. We don't recommend the more expensive digital timers over the analogue dial type. Simply because digital timers will loose all memory, as well as your settings if they loose power or get unplugged, even for one second for any reason (unless you find one with a battery backup). They often don't have any more actual on/off settings than the analogue type as well. Just make sure the timer you get has pins all the way around the dial. Other than in water culture systems, air pumps are optional in hydroponic systems. But using them has benefits, and air pumps are relatively inexpensive. Air pumps can be found anywhere they sell aquarium supplies. Air pumps simply just supply air and oxygen to the water and roots. Air is pumped through an air line to air stones that create a bunch of small bubbles that rise up through the nutrient solution. In water culture systems the air pump helps keep the plants roots from suffocating while their submerged in the nutrient solution 24/7. For any other type of hydroponic system, the air pump is typically used in the reservoir. It helps to increase dissolved oxygen levels in the water up and keep the water oxygenated. Visit this page for more about dissolved oxygen levels. Other advantage's of using air pumps are that as the air bubbles rise, they keep the water and nutrients moving and circulating, this keeps the nutrients evenly mixed all the time. The circulating oxygenated water also helps reduce pathogens from gaining a foothold in the reservoir. Grow lights are an optional part of hydroponic systems. 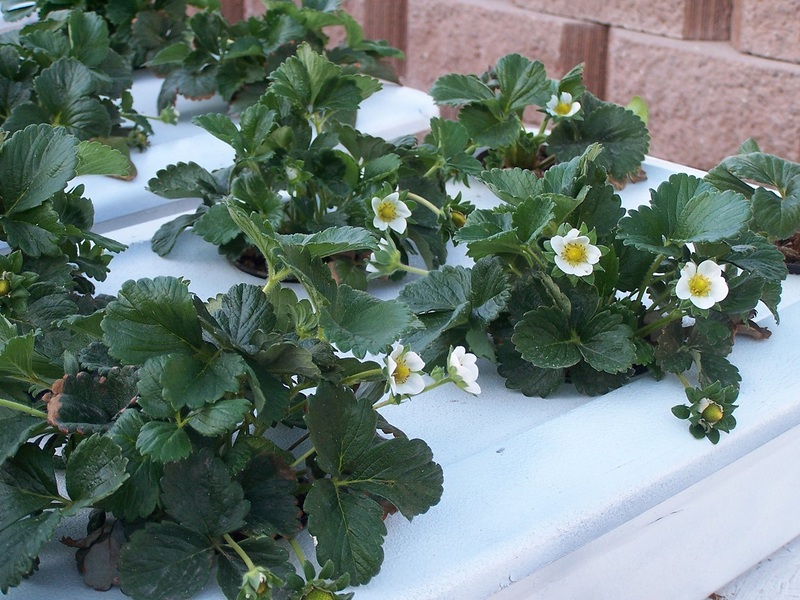 Depending on where you plan to put your hydroponic system, and grow your plants. You could choose to either use natural sunlight, or artificial light to grow your plants with. If you can make use of it we prefer natural sunlight, it's is free and doesn't require any extra equipment. However if there just isn't enough natural sunlight where you put your hydroponic system, or at that time of year, you'll need to use at least some artificial light to grow your plants. Grow lights are different than most standard household lights. Grow lights are designed to emit certain color spectrums that mimic natural sunlight. The plants use these color spectrums (wavelengths) of light to conduct photosynthesis. The plants need to conduct photosynthesis in order to grow and produce fruit and flowers. So the type, as well as the amount of light a plant gets will greatly affect the plants ability to photosynthesize, and thus grow. Visit our page on lighting and grow lights for hydroponic plants for more about the different types of artificial lights used to grow plants.